View More In Memory Card Adapters. 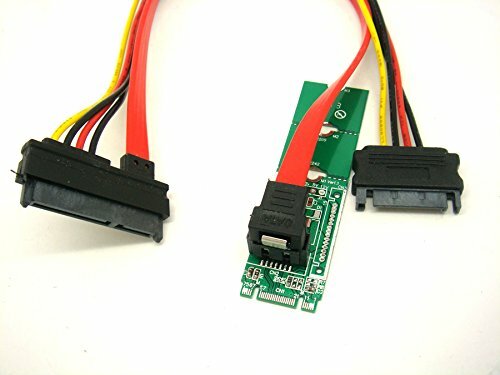 M2S-C is SATA adapter from M.2 Socket 2. This module allows you connect any SATA device to M.2 slot through a standard SATA port. M2S supports M.2 socket 2 with TYPE 2242-D2-B-M of SATA SSD. SATA interface supports standard SATA 7pin data signals. M2S-C is the best solution to evaluate M.2 SATA SSD socket. . Body Size: TYPE 2242-D2-B-M, can be as type 22x42, type 22x60,type 22x80 M.2 SSD. If you have any questions about this product by Sintech, contact us by completing and submitting the form below. If you are looking for a specif part number, please include it with your message.